The fabric Malkhais now known to all major designers the world over. It has been exported from India to Italy, France, Norway, the United Kingdom and the United States. But just what is Malkha? Well, it is a fabric woven by weavers on handlooms, from cotton grown by small-farming families. 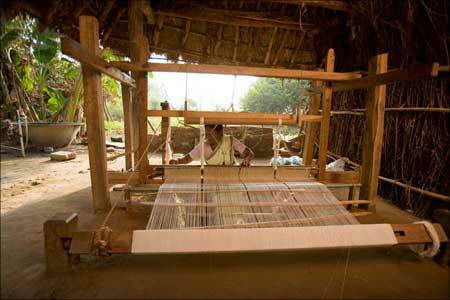 The fabric is hand-woven in the weaving units in Andhra Pradesh, Maharashtra, Orissa, Karnataka, Kerala and Tamil Nadu. The name Malkha has been coined from a combination of malmal and khadi. There is also a Malkha Projectstarted by designers Mayank Mansingh Kaul, Peter d'Ascoli and Aneeth Arora to integrate the skills of rural artisans in contemporary fashion design. The man who made it possible for rural women to create Malkha is L Kannan, a mechanical engineer from Indian Institute of Technology-Madras.If rural artisans are today able to spin yarn in the confines of their homes, it is because of the micro-spinning line of carding machine, draw-frame and flyer-frame, designed by him. 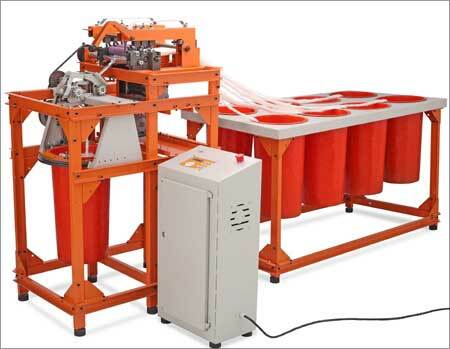 Here is the story of how Kannan designed the machine line. Image: L Kannan, the man who made it possible for rural women to create Malkha. Though not from an entrepreneurial family, Kannan was entrepreneurial as a student at IIT Madras itself. He had decided at that young age that he would be on his own and not work for anyone else. "I was interested in a number of questions related to environment, people, development, et cetera in relation to science and technology. I felt that conventional employment would not allow me to pursue those questions. I wanted the freedom and flexibility to change course in whatever I did and whenever I wanted." He felt that science and technology could have an impact on society but the curriculum never looked at that aspect. So he started working with an NGO as a student volunteer in the tribal areas. "I wanted to work in an area where technology can be used to strengthen the disadvantaged, as an enabler. A few of us from our college developed solar cooker, etc. for the rural poor. Though they were of not of great quality, it served a purpose." The days spent in the rural and tribal areas and with NGOs made Kannan look for an avenue other than agriculture that could generate wealth and prosperity for the poor in the rural areas and he found that it was the handloom. "For thousands of years before the British came and massacred the handloom scene, India was the major source of the world's clothing. This sustained dominance was made possible by our rural artisans. I thought it was the right place to be in to undo a historical wrong." 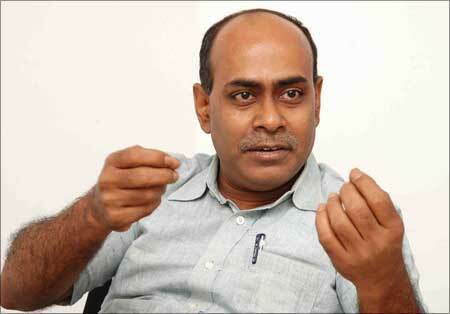 That was how Kannan started working with Dastkar Andhra, based in Hyderabad. A grand old lady named Uzramma who had spent most of her time abroad and later dedicated her life to rural artisans, is the founder of the organisation. By providing employment to about 12.5 million people, the textile sector is the largest employer after agriculture in rural areas even today. A third of the country's foreign exchange earning is from the sector. More than 90 per cent of the industry is in the decentralised sector and functions in small units. The only difference is in yarn production which happens in very large spinning mills while everything else is in the small sector. The technology has remained unchanged from the days of the Industrial Revolution. "We fail to understand why it is so. Wherever there are small and large opportunities, smaller scale options have been more successful than bigger ones. But here, there was no choice; the only one choice was the large spinning machine," said Kannan. Cotton fibres were compacted traditionally into bales to transport from India and America to the mills in England. In the mills, the blocks were separated again without damaging the fibres. That is why the machines were very complex. The question that bothered the engineer was what is the need to turn the cotton into bales where cotton is produced? 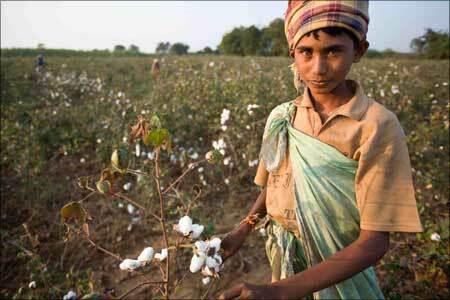 "I thought we should design a machine that suited the area that produces cotton. 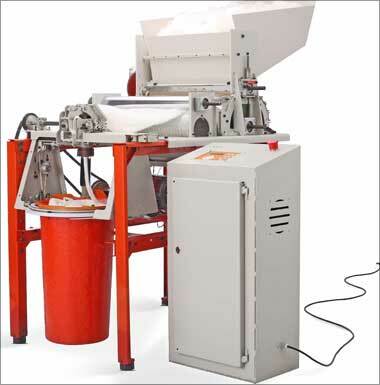 If you were to avoid the pressing of cotton into bales, you need a machine that is differently designed, not expensive but affordable to the small-scale operators." He thought if he could define what was to be made, there would be designers who could make such a small machine that can be used by the rural artisans. But many experts discouraged him by saying that it couldn't be done. Discouraged by other industrial designers, he started designing the machine all by himself. "I inadvertently and reluctantly became a real engineer." And, that was possible because of the grant he got from Anna University. In 2001, the prototype he designed was deployed at one of the places Uzramma was working at in Andhra Pradesh. 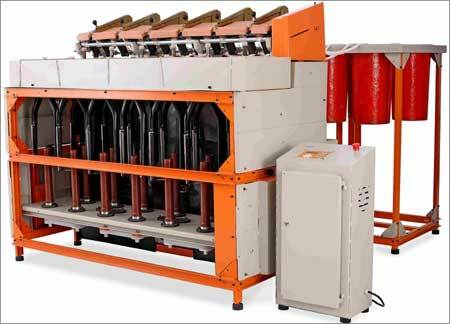 The machine is a hundred times smaller than the large machines used in the spinning mills. But Kannan had to work very closely with the local people for six months to fine-tune the machine and educate artisans to use it. In fact, he is still fine-tuning the machine. Were the villagers happy to use a new machine? "I wouldn't say they were happy or comfortable but they were excited at the process of doing something that nobody had done before. Somebody said, 'It was the first PC made when mainframes were there!'" So far, he has developed 10 machines in eight years and they have been placed in Andhra Pradesh, Maharashtra, Orissa, Karnataka, Kerala and Tamil Nadu. As he had not received any investment from anyone to design and create the micro-spinning machines, he worked mainly on central government grants and the pilot project was supported by the Union Ministry for Rural Development. He started Vortex, a private limited company, by borrowing Rs 1 lakh (Rs 100,000) from family and friends with "the dream of solving many problems that rural India has." Later he set up Fractal Foundation, a non-profit organisation, which took charge of the making of the low-cost, less energy-intensive micro-spinning machines. Soon Kannan understood that if he had to scale up the design and manufacture, the process could not be run on a non-profit NGO model. In April this year, he founded Microspin, a new for-profit company which would take over spinning machines from Fractal Foundation. It has already received seed capital from RTBI (IITM's Rural Technology and Business Incubator) and also a loan from the Technology Development Board of the Government of India. Between Kannan and Uzramma, they decided that while he would concentrate on making the machines, she would deploy them and integrate the different allied producers in the value chain like weaving, dyeing, marketing, etc, to turn it into a sustainable economic activity. 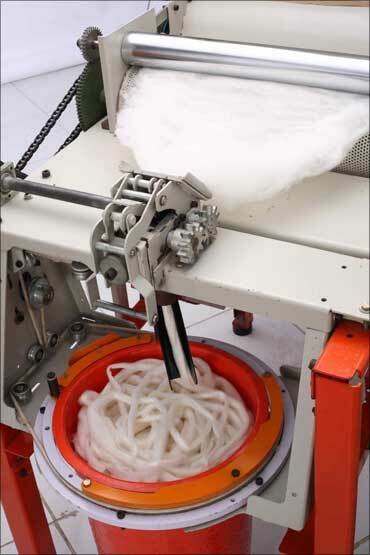 Because cotton is not brutally pressed to form a block, the yarn produced from this micro-spinning machine is of very high quality. 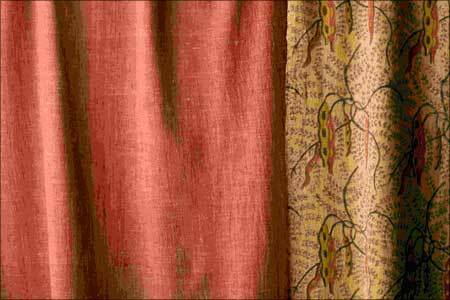 Image: The Malkha fabric is used by designers all over the world. After five years of producing the final woven cotton material, Uzramma coined the brand Malkha -- a union of malmal and khadi -- because she felt the superior quality cloth the villagers produce using the machines, deserved branding. Today there is not a top designer in the world who has not used Malkha. The fabric is exported to many countries and the demand is 10 times the production now! Kannan says, "Right now, our constraint is not marketing. We have only participated in various exhibitions. In fact, we have not spent a single paisa on marketing. Our constraint is in production. Designers all over the world buy our cloth for their shows, and boutiques in India and abroad buy our material." 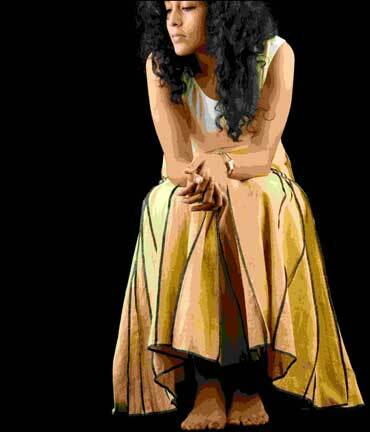 If not for the micro-spinning machine invented by Kannan, Malkha would not have been born at all! Image: Hand weaving the Malkha fabric. GATE 2012: Exam dates announced!